Balance video game time with plenty of creative, outdoor and quiet play. Keep their screen free of fingerprints and dust, as both can reduce vision clarity. Discourage your child from playing in a dark room. The contrast from a dark room to a bright screen is too much for the eyes. 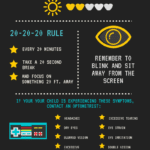 Practice the 20-20-20 rule: Every 20 minutes, encourage your child to take a 20 second break and to focus their eyes on something at least 20 feet away. Encourage your child to sit away from the screen. 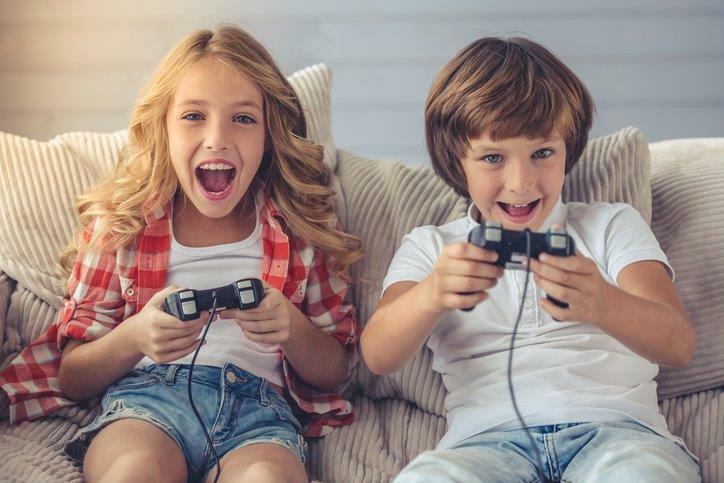 If your child persists on playing video games from a short distance, schedule an eye examination with an optometrist. This may be a sign of nearsightedness (myopic). Adapted information based on materials developed by the Ontario Association of Optometrists.